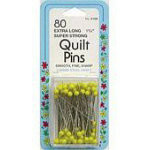 Extra long 1-3/4", smooth sharp .60mm steel shaft with yellow plastic heads. 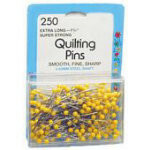 250 pins per package. 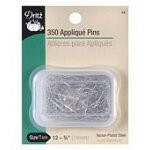 Applique Pins nickel 3/4in size 12 350 ct.